Riversway in Preston and Middleforth in Penwortham are two seats up for re-election where local residents have expressed strong opposition to the proposed Ribble barrage and massive housing and business development ideas earmarked for the Green Belt and floodplain area on the Penwortham side. Riversway has one council seat up for grabs in the Preston City Council Elections, May 2007. The ward includes the Broadgate area, which is one of the areas that will be most affected by the increased flood risk and other adverse side effects of the Riverworks Barrage and the associated floodplain housing proposals. The issue of the barrage could be crucial in deciding who is elected. Now we have clear statements on Riverworks from the two main candidates in the election. "We have recently carried out an extensive consultation regarding the Vision Board's proposals for developing the docks and the barrage across the River Ribble. We support the views of the residents who are against the proposal to build the barrage"
Bhikhu says he is more in touch with local residents because he is the only candidate to actually live in the Broadgate area. "Consider the Ribble Development plans. Who are the Preston Vision Board, and does any member live in your area? I doubt it. They are a small number of unelected people with a clear interest in going against the wishes of residents. Their views are clouded by their aim to bring big business to Preston. Yet Preston Council claims it is consulting with us on this issue. Respect supporters point out that while individual Labour councillors are now making statements against the barrage, their party leaders (and the leaders of the Tories and Liberals) on the Preston City Council Cabinet still back the proposals and point to the fact that Labour MP David Borrow sits on the Vision Board and is thus part of the quango pushing the barrage idea. Both Bhikhu Patel and Elaine Abbott have done useful things to help the Save The Ribble Campaign, we leave it up to the local voters to decide who they believe will fight most determinedly against the Ribble Barrage and Housing ideas when they cast their votes. Meanwhile, in Middleforth - the Penwortham Ward at high risk from the potential impacts of the barrage and building developments being proposed for the Penwortham Green Belt and floodplain - both the Labour candidates and the Conservatives have made strong statements about these proposals. 'They want to see the river tidied up for the benefit of the wildlife and enjoyment of visitors'. The South Ribble Conservative newsletter makes it clear they are 'committed to fighting ANY moves to build on our green fields and open spaces'. 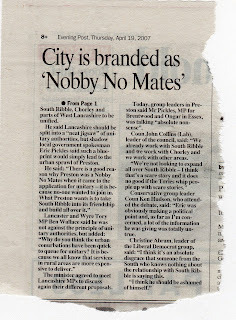 In a week when Preston City Council has been branded “Nobby No Mates” over its failure to persuade South Ribble Borough Council to join its unitary status bid, key members of another neighbouring community have spoken out against Preston City Council’s barrage scheme and are demanding to know why they have not been consulted about the proposals. In their leading articles, both the Kirkham and Fylde Express, and the Lytham St Annes Express, (April 19th 2007) reported on the Riverworks proposals to build a barrage on the River Ribble “as part of an £800m project to make Preston the third city of the North West, with 4,000 new homes, leisure, offices and shops around the new waterways, rivalling other prestigious marinas like Salford Quays”. The papers report that one possible location for the barrage is near Freckleton, just three miles from Lytham. River Douglas (Asland) joins the Ribble, taken from Freckleton Naze - at one of the potential sites for Preston City Council's proposed barrage. It is no surprise that neighbouring communities should be so concerned about Preston City Council’s proposals. As we have argued, the way the River Ribble works means that the environmental impact of a barrage will effect all the communities along the Ribble corridor (See Barrages and Wetland Ecosystems and How the Ribble Works) and that therefore any consultation on the Riverworks proposals would have to include all the communities effected by the options under consideration (See also Save The Ribble Archives: June 5th 2006). As Arnold Summer, coordinator for St Annes Chamber of Trade puts it : “Are you content to see Preston City control the amount of water coming down the Ribble in front of Lytham St Annes?”. 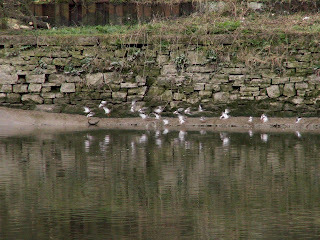 Preston City Council needs to understand that the River Ribble is not theirs to interfere with to serve their own economic development strategies and the financial and commercial interests represented by the Preston Vision Board) - particularly when such interference will have such far reaching consequences for the Ribble ecosytem and the wildlife which depends on it. 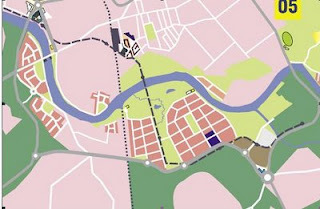 As we have argued, the SUSTAINABLE economic potential of the River Ribble lies in the Development of the Ribble Coast and Wetlands Regional Park, which would be a huge asset for all the communities along the Ribble corridor whilst also protecting the Ribble’s inter-tidal ecosytems for now and for future generations. The beautiful Ribble intertidal habitats on the Fylde Coast. See more about the Ribble Coast & Wetlands Regional Park here and here. This point is reflected in the leader comment of the Kirkham and Fylde Express (19th April), which is clear in its condemnation of Preston City Council’s proposals. The paper urges its readers to write to Preston City Council to voice their concerns before it's too late. We would also urge concerned residents in Fylde and other Ribble communities to contact Save the Ribble and join our campaign. 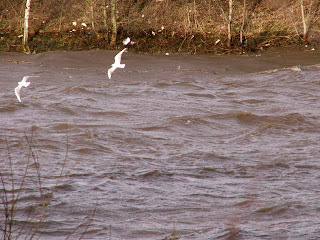 The Kirkham and Fylde Express (April 19th 2007) also reported the concerns of environmental groups that a barrage across the Ribble would have grave consequences for the environment. Waders at Lytham St Annes. During the Winter months alone, the Ribble estuary supports some 250,000 birds from Russia, Scandinavia and Iceland which make the area their winter home each year, including species like Whooper, Bewick Swans, Pink Footed Geese, Dunlins, Sanderlings and Bar-Tailed and Black-tailed Godwits. The Ribble supports a massive 1 million birds throughout the whole year, which is why it is Internationally important. In response to the newspaper article, Preston City Council repeated their claim that the barrage is an idea only – not a proposal. Yet they continue to promote the barrage scheme and it remains central to their Economic Regeneration Strategy and Prioritised Action Plan which states that “key project proposals include the development of a barrage across the river providing a range of economic and environmental benefits…”. But as the Save the Ribble Campaign and other environmental groups have argued, there are no environmental benefits arising from a proposal to barrage an inter-tidal river whilst genuine economic benefits will arise in preserving the Ribble ecosystem as part of the Regional Park. This is clearly a fact that is becoming increasingly appreciated by all the communities along the Ribble corridor. Unfortunately, for Preston City Council, until they drop their ideas to barrage the Ribble, they are likely to lose even more friends amongst local residents and neighbouring communities. Further to this, Dave Dunlop of the Wildlife Trust for Lancashire, Manchester and North Merseyside has reiterated the Trust's serious concerns about the barrage proposal to us, emphasising that 'any development that would further constrain [the Ribble's] natural functioning is a bad idea, and would presumably be in breach of the UK Government's obligations under international convention and law.' For Dave Dunlop's full comment, click on the comments links below. As part of the various events at RSPB Marshside, Dr. Alan Bedford from Edge Hill University and Graham Clarkson of the RSPB gave a fascinating talk about how the Ribble Estuary works. You can find out more about walks, talks, and other wildlife events at RSPB Marshside. The River Ribble: an intricate and dynamic Wetland Ecosystem. We know that the Ribble’s inter-tidal ecosystem is a combination of fresh and salt waters, silts and nutrients, which give rise to the unique mudflats and saltmarshes in the Lower Ribble and particularly in the Estuary, and that the Ribble Estuary is such an incredibly rich habitat that the Ribble’s importance to wildlife is on an International scale. Yet this ecosystem is a dynamic habitat, changing not just with the tides and the Seasons, but even in the space of a few hours. The salinity of the Ribble’s Estuary is one of those elements which varies enormously, even in the course of a single day. Not only do the tides themselves vary - the height of the tides can vary hugely even over the course of a few days! - so does the flow of fresh water which washes down through the Ribble corridor to mix with the incoming tides. The amount and nature of this fresh water depends on the amount of rainfall higher up the Ribble valley, flowing down to the Estuary down the Ribble river, as well as down its many tributaries which all flow into the Ribble’s waters. There are many tributary rivers which flow into the Ribble to swell her waters and provide numerous spawning grounds for migratory fish - including Atlantic Salmon and Sea Trout, these amazing fish make their arduous journey from the open seas back to their own birth places high upriver to spawn their own young. These tributaries are not only the larger Rivers Darwen, Douglas (Asland), Calder, Hodder, and Crossens, but also the Rivers Lostock and Yarrow, Rivers Whitendale, Loud, and Brennand, the Rivers Brun and Tawd, and a huge number of smaller rivers and brooks, including Stock Beck, Pendle Water, Colne Water, Eaves Brook and Savick Brook, amongst many, many others - and ALL of these tributaries would be affected by a tidal barrage on the Ribble, not least because they would all be UPRIVER of the impounded waters. The River Douglas and the Ribble. This is yet another reason why the Ribble is so important: she is effectively nature’s water supply and the rainwater drain for a huge area of the North West, from Ribblehead in North Yorkshire to Lytham, St.Anne’s, Blackpool, and Southport; from Gisburne Forest and the Forest of Bowland to Settle, Clitheroe, and Ribchester; from Colne, Burnley, Accrington, Blackburn, Darwen, Wigan and Skelmersdale to Preston, Freckleton, Kirkham, Chorley, Leyland, Walton le Dale, Penwortham, Hutton, Longton, and Hesketh Bank… and many of these places also supply much of the Ribble’s essential silts and nutrients, washed downriver to the Lower Ribble and the Estuary by rainwaters. The Ribble’s intricate ecosystem, then, extends far beyond seeing the central river, or the estuary, in isolation: the Ribble is a living, breathing, ecosystem, a vital ecological organism. The Ribble is renowned for its high sedimentation – all that lovely mud! – which is carried downstream with the fresh water flows, and in from the Irish sea, and mixed up and distributed on those vital mudflats and saltmarshes by the swirling waters of the tides and the freshwater currents, every day, twice a day, as it has done for many thousands of years. 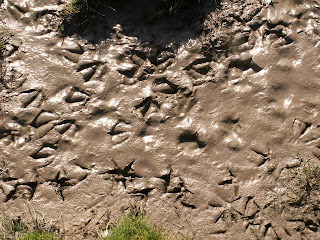 It is the Ribble’s mud which provides the strong mineral base of dead organic material which is the primary food source for the mind-blowing multitude of invertebrates which live in the Ribble’s mudflats, a multitude upon which the Ribble’s enormous bird population subsequently feeds. All that mud provides a food-rich habitat for over ¼ million birds every Winter alone – and approximately 1 million birds throughout the year, including those who stay for just a short time to refuel during their long global migrations - as this rich ooze supports so many millions of invertebrates it’s impossible to count them! Ribble mudflats have more energy per square metre than Rainforest! As the high levels of salt ensure the mudflats and saltmarsh don’t freeze in the winter months, this environment is a safe haven all year round for numerous migratory as well as native bird species who feed, breed, and roost here throughout the year. 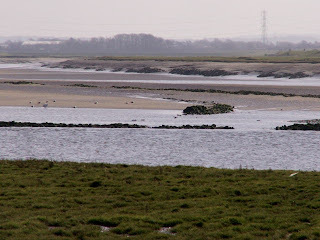 Ribble Tidal Flats – neither “barren” nor useless! 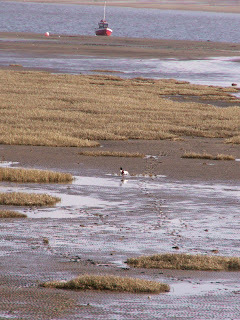 The tidal flats form three basic areas: sand flats (at the geographical bottom of this intertidal ecosystem), the salt marsh at the top, and the mudflats in between, and are collectively known as tidal flats. The combined system is very rich indeed in terms of nutrients – and Dr. Bedford pointed out the nonsensical perception in the Riverworks documents that these vital wildlife habitats are “barren”, “unsightly”, and useless! Rich Ribble mud - more energy per square metre than Rainforest. Their vital importance to wildlife is why mudflats and saltmarsh are protected under UK, European, and International Law, and why they are currently a particularly high priority for both creation and restoration as part of the UK’s Biodiversity Action Plan Habitats, and as part of Defra and the Environment Agency’s biodiversity enhancement aims. Defra and the EA also wish to invest in tidal flat maintenance and restoration as these also act as effective and sustainable flood defences to coastal and riverside communities. Whilst the Ribble’s harsh environment means that the mudflats are low in biodiversity in terms of the number of species per square metre, the enormous numbers of the relatively few species of invertebrates (worms and snails) that live there means the Ribble’s mudflats are so rich that they support more life per square metre than tropical Rainforest! The Ribble's mudflats also act as Nurseries to sea fish fry (babies) such as Plaice until they are mature enough to cope with the open seas. Sand Hoppers, for instance, burrow in the mud and feed on the rich supply of micro-particles in there – and their digging is itself very important to stabilise the mud – and there are between 50,000 and 400,000 of these little diggers per square metre!!! Cockles siphon for food very close to the surface; lug worms leave their little tell-tale squirls of sand on the surface… and there are loads of other worms, snails and shellfish, all co-existing in the Ribble’s rich mud at the rate of many hundreds of thousands per square metre! No wonder that the Ribble is such a vital feeding ground for so many hundreds of thousands of birds all year round!!! To read more about the importance of invertebrates to the inter-tidal ecosystem, see Buglife. The rate of heat loss in birds is huge, and high tides mean even less feeding time. Different wading birds have evolved different feeding styles and bills because, in such a tight feeding time-frame, they need to get feeding as quickly and efficiently as possible, each evolving unique methods to catch their favourite fast-food Bug-burger. 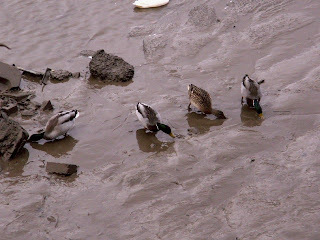 Because of the high levels of energy these birds need to consume to stay alive, they have to use every opportunity to feed on the mudflats exposed by the receding tide. Oystercatcher and Curlew, for example, have to feed for between 40% and 60% of the time during the summer months, 75% in the Winter, while Knot have to feed for 60% of the time in the summer months, and between 90% and 98% of the time between January and March – that’s pretty much constantly, just to stay alive. In February 1991 for example, the cold killed 850 out of every 4,000 Redshank. 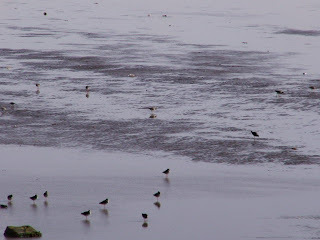 The Ribble’s incredibly rich mudflats are VITAL to a significant number of the Earth’s bird population. Skylarks feed on saltmarsh seeds and breed during the solstice tides as there is a much lower tidal range in mid-summer. 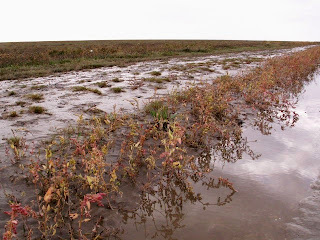 Saltmarsh is an endangered habitat - it is rarer than Rainforest. Ribble saltmarsh at Marshside - the best place in the North West to see and hear Skylarks. The Ribble Estuary supports more bird species in internationally significant numbers that any other wetland site in Britain – apart from Morecambe Bay sometimes! Despite the enormous difference in size of these two Lancashire wetlands, the Ribble and Morecambe Bay are almost indistinguishable from one another in terms of the bird species they support, and frequently change places between first and second position in the Wetlands Premier League. Only the Wash, on the East coast of Britain, comes close to these Lancashire giants in terms of the numbers of bird species supported. The majority of wading birds tend to feed most intensively at incoming tide rather than outgoing tide as the incoming waters often encourage the invertebrates to the surface. The saltmarsh, a rare and protected habitat dominated by grasses, is often more useful for roosting and breeding than feeding for many bird species, providing a good site for spotting predators, safe for moulting and nesting and roosting at high tide. Yet, significant bird species also feed on the saltmarsh plants themselves, including Pink Footed Geese, Wigeon, and Skylarks. 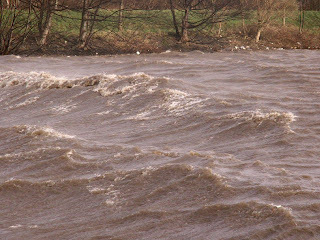 The variable tides, moods and seasons of the Ribble are an intrinsic part of our love for this glorious River, and occasionally some of our local communities have close encounters with the Ribble when inclement weather conditions and tidal movements coincide! Submerged bench in Penwortham, looking towards Broadgate. This river flooding is due to high rainfall, and often occurs when in conjunction with high river levels, such as at high tide, and at certain phases of the moon - a situation which can be exacerbated when there are strong onshore winds, and is a particular risk during the Spring and Autumn Equinoxes. 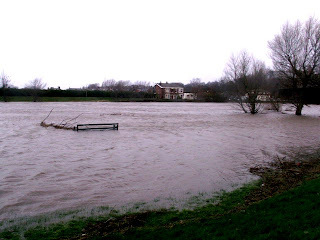 Ribble in spate through Penwortham and Preston. Defra and the Environment Agency keep a close eye on our flood defences and rainfall patterns as part of the Ribble Shoreline Management Plan, which is equally concerned with the long-term protection of the Ribble’s inter-tidal habitats, and plans for the next 50 to 100 years of Ribble coastal and the tidal sections of the river basin up to Penwortham Old Bridge. The assessment of the flood risk and the Ribble’s ecosystem for wildlife and human communities further upriver is covered by the Integrated Ribble Catchment Management Plan - implemented as part of the EU Water Framework Directive as the Ribble is Britain's Pilot WFU River - which caters for the entire Ribble river system. This includes the whole catchment area and the numerous large and smaller rivers which feed into the Ribble itself, and covers everything from Fisheries issues to flooding to extraction and pollution issues to protecting and enhancing the Ribble's biodiversity and wetland ecosystem. Both Plans aim to ensure the protection and enhancement of flood defences AND wetland wildlife habitat as part of their broader remit of river basin management, and it is the well-being and integrity of both which compliment each other in actively providing one of the richest wetland habitats in Europe at the same time as effectively providing Ribbleside communities with flood protection! It is a fact that the intertidal wetland system of mudflats and saltmarsh acts as the most sustainable, effective, and cost-effective forms of flood defence provision from both sea level rises and higher rainfall. This is why the Ribble Shoreline Management Plan actively pursues the protection and (re)creation of more intertidal zones to protect both human and wildlife communities from the threat of climate change. This is also why barrages and building on the river's floodplain will increase floodrisk to local communities. The Ribble SMP has targeted Hesketh Out Marsh as the first major area of land to be returned to its original saltmarsh condition, and work has begun on this project, which will incidentally create one of the largest Wetland Nature Reserves in Europe whilst actively helping to protect Ribbleside communities from the sea, including Hundred End, Rufford, Much Hoole, and broader areas of South Ribble in particular, but the diffusion and absorption of the sea’s tidal energy it will effect also help to protect communities such as Preston, Penwortham, Freckleton, and Warton. This is why the Environment Agency believe building on the floodplain is not a good idea! The Tide is High but I’m Holding On! But back to the tides… The highest tides mean less feeding time for the Ribble’s bird population who have less space and time in which to feed, and then only once the tide recedes again! As the birds need to feed for between 60% and 98% of their time in order to mitigate the huge rate of heat-loss birds experience in the winter months, high tides can be a real problem for them. In February 1991 for instance, the cold killed approximately 850 out of every 4,000 Redshank. This flock of Redshank in Penwortham and Broadgate were chased off the Moorhens’ “patch” of mudflats every time they landed there! The Ribble’s wetland ecosystem then, isn’t just a word, it’s a vibrant and vital interrelated ecological environment, each part dependent upon other parts, each micro-climate dependent on the whole. This is why barrages, which interfere with the natural movements and behaviour of salt and fresh waters, silts and nutrients, cause so much damage to wetland ecosystems, and consequently, the Earth’s ecological and environmental sustainability. This is why the Ribble's designation as a Regional Park recognises the vital importance of the Ribble Coast & Wetlands - to wildlife and human communities, now and in the long term. Barrages and Wetland Ecosystems: the Environmental and Economic Impacts. 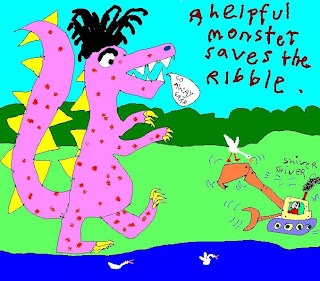 Save the Ribble Campaign are local Ribbleside residents who are spearheading the opposition to the Riverworks Ribble barrage, and the proposal to build thousands of new houses and businesses on Ribbleside Green Belt and operational floodplain in Penwortham. - the example set by the Cardiff Bay Barrage. We will also address the global significance of the Ribble Wetland in terms of issues of Sustainable Development through a link to one of our sister blogs, The Ribble Cycle Diaries, and thus why the Ribble Coast & Wetlands Regional Park rather than a Ribble barrage and Green Belt development is the only viable option for the future. The Ribble Estuary is legally protected under UK, EU, and International law, due to its environmental significance to wildlife on an International scale. It is a Special Protection Area (SPA) under the Conservation (Habitats &c) Regs 1994, and the EU Birds Directive 1979, a Site of Special Scientific Interest (SSSI), a Biological Heritage Site (BHS), and a Ramsar Site (Ramsar International Wetland Convention 1971). It is worth noting that the Internationally-significant numbers of individual bird species the Ribble supports, alone award the Ribble its SPA status 16 times over – it’s THAT important. The Ribble is also protected along its length as a Biological Heritage Site, and it is also the pilot UK River for the EU Water Framework Directive. According to the Environment Agency, the presence of a barrage structure across a main water body automatically places it at high risk of not achieving the EU WaterFramework objectives. River floodplains are important to local communities, local wildlife, and the integrity of our wetland ecosystems, which is why the Environment Agency are strongly opposed to further developments on these vital areas. Green Belt has its own protections from building development due to its vital importance to our native and migratory wildlife, and to our quality of life, and because this precious resource is being steadily depleted year after year. Our woodlandand farmland birds have declined by 50% on average over the last few decades – some species by as much as 95%. The Ribble’s Green Belt areas are especially precious then, as they contribute to our countryside wildlife habitats, our floodplain provision, and the integrity of our Internationally important River ecosystem. They are also, of course, aesthetically beautiful. 2). 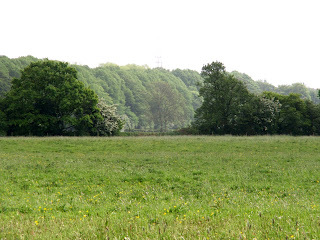 Building on the floodplain and Green Belt would remove this area from the Ribble’s operational floodplain, and remove most of this area from Green Belt provision, thus would deplete the integrity of the Ribble’s dynamic ecosystem on two key levels. It is clear that both of these proposals run counter to Legal, Governmental, and local Planning criteria. The Legal protection of the Ribble under the Conservation Regulations 1994 alone deems that any development which even may impact on the Ribble’s SPA can not go ahead unless there is ‘no alternative’ – which clearly there is. It is also clear that both of these proposals are neither environmentally nor economically sustainable. Read the Environment Agency’s and Natural England’s statement of concern regarding the proposed Severn barrage as an example of their understanding of the damage barrages cause. Riverworks initial claims are that ‘preliminary indications’ suggest ‘the likely capital cost of constructing the barrage ranges between £16m and £60m’ (Riverworks 01: Quality Riverside). As an example, we’ll take a tour of the Cardiff Bay Barrage, and the Environmental and Economic Impacts, and look at the numbers which just don’t add up. 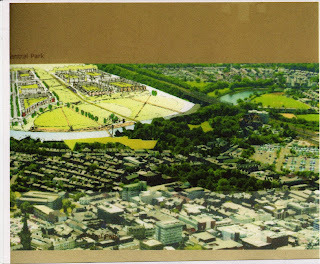 The idea of building a barrage across the Taff Estuary (Cardiff Bay), and turning the once-magnificent Bay of Tigers into a picture-postcard boating lake was first suggested in 1987 by the then Welsh Secretary, Nicholas Edwards. His ‘whim’ to “prettify” Cardiff by permanently covering its “unsightly” tidal mudflats (yes, that ignorant dismissal of the life-blood of an inter-tidal ecosystem again) – also one of Britain’s important inter-tidal habitats for over-wintering birds (over 8,000 in number) including several protected species of wading birds - produced what must be one of the most costly ideas in recent British history, in environmental, economic, and sustainable development terms. The concerns about the Barrage proposal raised by local residents, the RSPB, a number of Environmental experts, and the Environment Agency, amongst others, were ignored yet unfortunately proved to be well-founded. Local resident Sian Best has published an excellent exposé of the Cardiff Barrage scheme in which the Barrage is revealed as ‘the outcome of a secretive and ill-informed sequence of political decisions of uncertain purpose… which now, and for the foreseeable future, leeches money from the Welsh economy, without any discernible public benefit and with much potential for public harm’ (A Whim Set in Concrete 2004, Seren Books, p.11). The implications for local democracy are also staggering, with the barrage proposers in the local Councils, development companies, and Whitehall, ensuring commercial interests came first, riding rough-shod over local residents’ needs or wishes, local councillors who saw the other alternatives for "regeneration" and defied the Party line to represent the best interests of their electorate, environmental protection and assessments, and even involved ‘changes… made to the conservation status of the Bay in the [local] Structure Plan… to ease the Barrage… progress’ (Best 144, and 88). Local Residents? What do they know? Local residents in Cardiff opposed the Barrage because of the environmental damage it would cause to a protected inter-tidal habitat, the increased floodrisk it would bring to their homes, and the massive and unjustifiable expense of the project. To try to avoid the thorny issue of the inevitable environmental impact the barrage would cause, the proposers of the barrage quickly turned the argument into a birds vs human debate (from jobs and urban regeneration and redevelopment and economic benefits, to flood defences – sound familiar? ), which was a nonsense from the start: local residents were not opposed to redeveloping the Cardiff Docks area, but argued that a barrage was not necessary for this redevelopment to take place, and that making more of the fantastic wildlife of the Bay – which had the greatest tide range in Europe as well as huge flocks of wading birds - would be an asset! The alternatives to a barrage were never considered by the barrage proposers, despite much work by environmentally-responsible architect Professor Chris Baines, local residents, environmental impact assessments and the RSPB (Best 70-79), who could all clearly see the enormous benefits for wildlife, local people, and tourism that a natural inter-tidal Bay would bring. Subsequently, when asked what had attracted them to the redeveloped Docks area, not one of the new or relocated businesses cited the barrage as the reason they moved to the area (Best 29). The “new jobs” promise turned out a tad whimsical too… initial promises appeared to be plucked out of the air: 11,000 new jobs became 20,000 then ‘almost 30,000 jobs’ (Best 59, & 63) depending on who was speaking, and after a loss of approximately 15,000 existing jobs amongst local people (businesses cleared wholesale to make way for the shiny new Docks developments), and with many of the new jobs filled by the workers that the new businesses which moved in brought with them, the net gain of the 16,750 new jobs quoted as an actual final figure by the Cardiff Harbour Authority is nearer 2,000, so only a fraction of the new jobs promised have actually materialised. Even if the 16,000 figure IS nearer the mark, it is still half the figure of 30,000 often quoted, showing the economic figures were rather loose, to say the least. Economic benefits, or an obscene drain on resources? The Cardiff Barrage was originally muted as a much smaller structure, further upriver than the barrage was finally built and therefore not originally intended to cover the inter-tidal area itself, and was proposed as part of a new road crossing across the River Taff. A report into the potential environmental impacts on the wildlife of this initial barrage site, further upriver than the Estuary, found that the levels of disturbance to the birds on ‘this small but important SSSI’ would ‘increase’, and recommended the Taff Estuary be designated a Local Nature Reserve as this would ‘leave the birds undisturbed and provide a very valuable local amenity… [which] would amply repay all efforts made to conserve it’. SSSI status (Site of Special Scientific Interest) means a site is entitled to protection from damage or destruction, and Dr. Peter Ferns, the author of the report, clearly recognised the damage the original upriver barrage proposal would cause to the downstream inter-tidal mudflats, as well as recognising the benefits to wildlife, local amenity value, and the local economy that preserving the Bay’s inter-tidal mudflats as a Nature Reserve and tourist attraction would bring. But instead of listening to environmental assessments and residents’ concerns and forgetting about the barrage part of the development proposals for the area, the local Councils decided to put the barrage across the mouth of the Estuary itself and consequently drown the whole site. What is the value of commissioning environmental impact assessments if you intend to ignore them anyway? A Public Relations exercise…? How can arguments purporting to the “economic necessity” of a barrage be justified when this costs so much more in monetary as well as environmental terms than the wildlife facility alternative would generate? A SUMMARY OF BTO MONITORING REPORT ON WADER BIRD MONITORING IN CARDIFF BAY. The study concentrated on 5 key species (that is, most numerous) of over-wintering wader birds present in the Bay prior to impoundment: Shelduck, Oystercatcher, Dunlin, Curlew and Redshank. Q: Were the numbers and distribution of birds within the Bay affected by construction work associated with the Barrage? A: Initial work indicated that the overall numbers of over-wintering water birds supported in the Bay had declined prior to impoundment, perhaps due to changes in habitat quality. The distribution and behaviour of birds in the Bay were also affected by disturbance caused by Barrage construction. Q: Were birds displaced by the Impoundment of the Bay and how did the water bird community change? A: Prior to impoundment, the Bay supported a diverse water bird community, dominated by large (over-wintering) numbers of estuarine birds. Since impoundment a smaller community of birds has existed in the Bay. Only very small numbers of the 5 key species (Shelduck, Oystercatcher, Dunlin, Curlew and Redshank) have continued to use the Bay as a high tide roost site during winter, and only occasionally do individuals remain to forage at low tide. Q: Were birds displaced from the Bay able to re-locate to other neighbouring sites? A: There is evidence that 3 of the 5 key species (Shelduck, Oystercatcher and Curlew) displaced from Cardiff Bay settled at adjacent sites in the first winter following impoundment. However, these increases were not maintained and, with the exception of Curlew, there was no evidence that birds subsequently attempted to settle elsewhere. In the case of Dunlin, it was not possible to determine whether displaced birds were able to settle elsewhere due to an ongoing decline of the local population. Q: Was there any impact on the condition and survival of birds that were forced to re-locate? A: Most of the Redshank from the Bay were displaced to the Rhymney estuary. There is evidence that adult Redshank displaced from the Bay had difficulty in maintaining their body condition in the first winter following impoundment and suggested that the winter survival rate of Cardiff Bay Redshank fell after their displacement. It is worth mentioning that the devastating impact the Cardiff Barrage has had on some species of wading bird is in the context of the 8,000 over-wintering birds Cardiff's inter-tidal mudflats used to support pre-barrage, therefore the concerns of the potential impact of the proposed Ribble barrage has to be viewed in the context of the 250,000 over-wintering birds the Ribble Estuary supports every year. Fish species are another serious issue, and the monitoring of all fish species following the impounding of the Taff is ongoing. That the Environment Agency are releasing ‘50,000 salmon smolts (baby fish) into the River Taff every year as presumed mitigation with respect to the construction of the barrage’ is very telling in terms of the impacts barrages are known to cause, even when designed with so-called fish passes. The Environment Agency have had to commit large resources to try to mitigate against the Environmental Impacts of the Cardiff barrage (more details can be found here and at the end of this article). The Cardiff Harbour Board’s Cardiff Bay Barrage “Environmental Report 2005-2006” raises the following issues, all of which also have to involve EA resources, as well as heavy economic input by the Cardiff Authorities – proud, it appears, of their ability to tackle the environmental problems the barrage is causing:. ‘The environmental conditions within the Bay and rivers [impounded behind the barrage] are favourable for the formation of large blooms of planktonic algae. Blooms can die forming scums on the surface of the water. Blue-green algal scums may contain toxins that could pose a risk to public health… [and are] both unsightly and giving rise to malodours as they decompose. Decaying blooms may also cause a breech in the oxygen standard’. To cut to the chase, the barrage has to have sluice gates, which are closed to prevent the tides coming in, but which can then, subject to river flow, increase floodrisk upstream of the barrage as the artificially-high water levels impounded by the barrage allow no extra capacity for extra river waters. To decrease this floodrisk, the impounded water has to be allowed to flow out into the estuary before the tide comes in, to allow greater storage capacity behind the barrage if predictions of river flow indicate high levels will occur during high tides…As it is, the EA had to insist that the original impounded water level be reduced from +8metres to +4metres AOD as the floodrisk was deemed too great. Bizarrely, the importance of Cardiff Bay to wildlife is recognised in the Report, the monitoring of changes in biodiversity are recognised as necessary, and insists that ‘all new developments are assessed on their impact upon the natural environment, and planning guidance is provided to mitigate or compensate for any loss of habitat’ as part of the Cardiff Bay Barrage Act (1993) … the Act which ALLOWED the barrage to go ahead and thus destroying a significant area of SSSI-protected intertidal mudflats!!! The “mitigation” against the destruction of the Cardiff Bay SSSI was the provision of wetland on the Gwent Levels – which is not only a different kind of biodiversity habitat to the one destroyed by the barrage, but the vast majority of displaced birds have not turned up there, showing that a natural inter-tidal ecosystem cannot be “compensated” for elsewhere. ‘when the weather is warm and there is little wind and rain, the dissolved oxygen levels in the deeper waters of the Bay will naturally drop. Low dissolved oxygen levels could significantly impact upon the fish, invertebrate and birds living in and off Cardiff Bay. The Cardiff Bay Barrage Act 1993 requires the dissolved oxygen levels to be at a minimum of 5mg/l in all places and all times. Cardiff Harbour Authority therefore uses an aeration system to mix the water thereby raising the dissolved oxygen levels… Additionally, if required, oxygen is added to the water using a mobile oxygenation vessel. Continuous real-time water quality monitoring and routine water quality sampling analysis facilitate the measurement of dissolved oxygen levels’. In other words, barrage-impounded water = perpetual problems with water quality and consequential environmental risks, which means the perpetual necessity of having to re-oxygenate the water – particularly in warm weather, for three seasons of the year, but effectively needs to be monitored and redressed all year round: more equipment, staffing, time and money, of these perpetual environmental impacts. 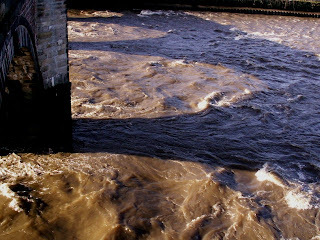 What happens upriver of the barrage is unclear… the Ribble is also a high siltation river upstream as a large proportion of its silts flow downstream to mix in with the sea-borne silts in the estuary. Barraging the Ribble would mean these silts back-up behind the barrage, reducing the riverbed volume and therefore increasing floodrisk as well as starving the estuarine mudflats of essential nutrients. As such, the Ribble would also need to be dredged on a regular basis – more expensive equipment, staff, time and money – and more environmental damage. No fewer than 239 Groundwater monitoring locations have had to be set up, and regular rainfall, riverwater, and tidal monitoring has had to be implemented. So far 6 pumping stations have had to be constructed to try to offset the increased floodrisk to local communities. These have to be permanently operational. Groundwater has also to be analysed on a regular basis to check for deterioration in quality, which would affect the water quality – and thus the ecosystem – of the River Taff. The Cardiff Harbour Authority are clearly pleased with their ‘state of the art fish pass’ (p7), but the Environment Agency have yet to determine how well this is working, and are already releasing 50,000 Salmon smolts (baby salmon) into the Taff to mitigate against the impact of the Barrage on the migratory fish. According to the Report, the long term target by 2005 is ‘1,000’ fish, with the figure ‘191’ inserted in the box… it is not clear what this represents, but the question arises whether this means that only 191 fish have been known to pass through, which appears woefully short of the 1,000 target figure… Read more about problems associated with Fish pass mechanisms here . As Sian Best makes clear, local residents’ alternative vision of a sustainable living waterfront in Cardiff, involving a natural un-barraged river, would have cost less than a tenth of the obscene sums of money literally poured in to the barrage, money which could have actually ‘saved’ many ‘struggling communities’ in Wales but instead ‘would be frittered away on a concrete dam and a stagnant lake’ (90). Sustainable development is CRUCIAL for our environmental and economic present and future – and wetlands play a vital role in this. The Millenium Ecosystem Assessment states that ‘the net benefits from the more sustainably managed ecosystem are greater than those from the converted ecosystem when measurements include both marketed and nonmarketed services, even though the private (market) benefits would be greater from the converted ecosystem’ (p11). This means that the more obvious commercial interests, and the economic benefits accrued as a result of converting ecosystems (by barraging an intertidal river or estuary, say) will be outweighed by the economic losses in the long term. It is estimated that by the Northwest Development Agency that new visitors to the Ribble Wetlands will generate £115 million EVERY YEAR, and bring 4,500 new jobs – and of course, will cost a lot less than a barrage to maintain! Ribble inter-tdal mudflats at the confuence of the Douglas with the Ribble - one of the sites proposed for the barrage! Natural, un-barraged inter-tidal wetlands on the Ribble - great for wildlife and great for people! More details of Environment Agency involvement in the Cardiff Bay Barrage impacts can be found here, with some central points below. ‘The construction of the Cardiff Bay Barrage has meant there have been and will continue to be many issues requiring the active involvement of Environment Agency Wales. The Agency has a duty in particular to ensure that matters relating to water quality, flood defence and fisheries issues are properly addressed’. ‘Any barrage is potentially an obstruction to the passage of migratory fish. ‘Up to the time of construction of the Barrage, numbers of salmon and sea trout in the Rivers Taff and Ely were steadily recovering. To facilitate the passage of such fish, the Cardiff Bay Barrage includes a fish pass…. [but] Following impoundment, there were significant operational difficulties with both the mechanical features and the operating software. These have now been addressed by Cardiff Harbour Authority (CHA), however adjustments to the operating procedures and changes to mechanical equipment continue…. The fish pass efficiency is not known, however observations indicate that fish are using the pass though exact numbers cannot be determined. ... Statistics gathered from the pre-barrage construction fisheries monitoring programme will be compared to those post-construction to determine the nature and extent of any impact of the Barrage. These data will be used to determine the appropriate number of smolts (juvenile fish) to be released as mitigation. Some interim mitigation stocking of smolts into the River Taff has already begun’ . [ - in fact, the EA are releasing 50,000 baby Salmon (smolts) every year in expected mitigation – which indicates a serious effect on the fish stocks]. ‘Studies have predicted that substantial algal blooms could occur in the freshwater lake throughout the spring, summer and autumn. Of particular concern is the predicted occurrence of toxic algae that can poison fish and other wildlife within the lake and also pose a threat to public health. Due to the excessive algal growth predicted, Cardiff Bay has been designated as a Sensitive Area (Eutrophic) under the Urban Wastewater Treatment Directive. ‘Eutrophic’ means that levels of nutrients can affect the natural balance of plant life, including algae. Consequently, nutrient stripping at five sewage treatment works in the Taff and Ely catchments are included in the current Dŵr Cymru/Welsh Water investment programme. It is hoped that the nutrient stripping will reduce the potential of algae forming in the Bay but the risk is not totally eliminated… algae disposal is via the Cardiff East long sea outfall into the Severn Estuary. Groundwater: ‘As a consequence of Barrage construction, it was believed that groundwater levels would rise in certain areas of Cardiff. To counter this problem the groundwater is being pumped from a number of drains and wells. … The Agency has required that the quality of groundwater is monitored… Should the water be found to contain substances which could contaminate receiving waters, then the Agency would require that the water be appropriately treated and would determine formal discharge consents’. Saline Intrusion into the Cardiff Bay Impoundment: ‘The intrusion of saltwater through the locking system from the estuary into the bay needs to be controlled, as it is a threat to the water quality of the freshwater lake… potentially creating a stratified layer below which water may stagnate’. Dredging: ‘major dredging programme to improve boat access’; ‘ensure that adequate precautions were in place to protect water quality during the removal of the 600,000 m³ of fine silt... In addition to the main dredging works, several much smaller operations have since been completed in the inner harbour and within the graving docks’. Waste Regulation; ‘algae’; ‘aquatic weeds, litter and debris washed down by the rivers... CHA are using a “water witch” vessel to collect the waterborne litter as well as arranging manual clearance along the bay edge. The Agency has ensured that all material is collected and disposed of safely in the most appropriate manner with waste management licences being determined as necessary’. Find out about how the Cardiff Bay regeneration project planned to “re-unite the City of Cardiff with its waterfront” but succeeded in ruining an awe-inspiring wildlife habitat and tying itself and the Environment Agency into a perpetual economic drain. Anglers Conservation Association solicitor Guy Lilley Allen, said: "The problem with the barrage is the salmon and sea trout are trying to run up the river, coming up to the barrage and are being delayed because they cannot find the very small opening of the fish pass and consequently seals are having an absolute feast." See the BBC coverage of this here. ‘As early as October 2003, Environment Agency fisheries experts are on record as stating that "if further monitoring is carried out this is likely to show that the fish pass is totally inefficient." In December 2003, DEFRA stated that "neither British Waterways nor the Environment Agency appears to have been taking the problem on the Tees very seriously". See Martin James Fishing for more on this situation. You can read more about this disastrous problem the Tees Barrage is causing for migratory salmon here.